Looking to add some fitness to your lifestyle, but don't know how? 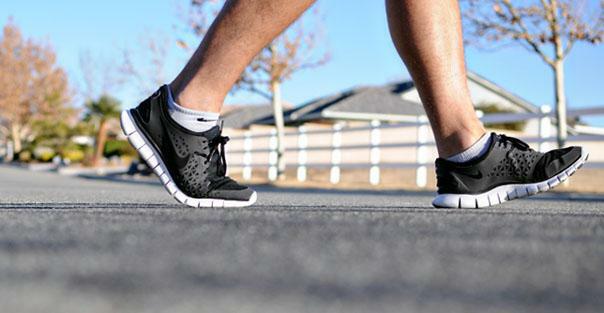 Try these 5 simple methods for adding more physical activity into your daily routine. 1. "Desk-ercise" - Stuck working at a desk all day? Try doing calf-raises and stretches from a seated position or run in place for one to two minutes. 2. Take a 5-Minute Exercise Break - After an hour of watching TV or looking at a computer screen, take a five minute break for physical activity. Do some jumping jacks or a wall-sit. Jog in place during commercials. 3. Try Something New! - Try a new route when walking at work or in the grocery store - even small changes can help shake up your routine and keep you dedicated. If there's an activity you have been wanting to try, such as golf, gardening, or hiking, try it! 4. Take the Long Route - Park farther at the store. Take the stairs instead of the elevator. If you normally take walks or run, try choosing a different and longer route. It may take more time, but the steps add up! 5. Start Small - Try small exercises that already fit into your routine. For example, do standing push-ups while you wait for things to cook. Stand an arm's length from the kitchen counter, and push your arms against the counter - pushing in and out.